I saw Nicole yesterday and told her that one of my blog followers was disappointed because I haven’t posted a picture of Natalie in a long time. When I got home, Nicole e-mailed me a few pictures that she took so I could keep Natalie’s Fan Club happy. 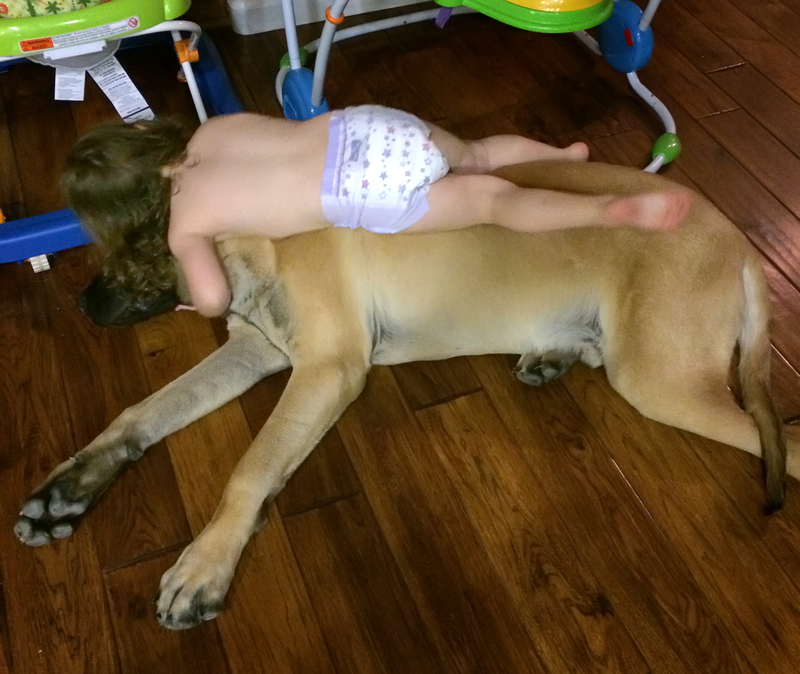 This one was my favorite of Natalie taking a nap with Tank, her 122 pound puppy! Natalie’s birthday is next week and I will be taking pictures of her. I can’t wait to post them to keep her fans happy! Natalie and her ‘puppy’ Tank.